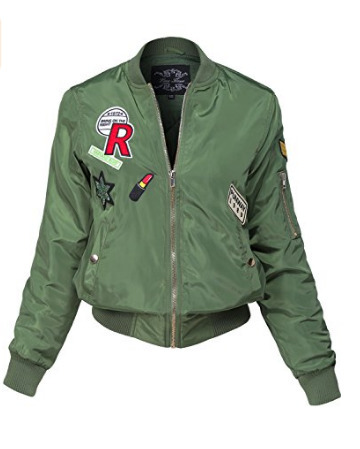 Thanks to the overload of street-style pictures on our Instagram feeds, no trend has been quite as big as the bomber jacket. 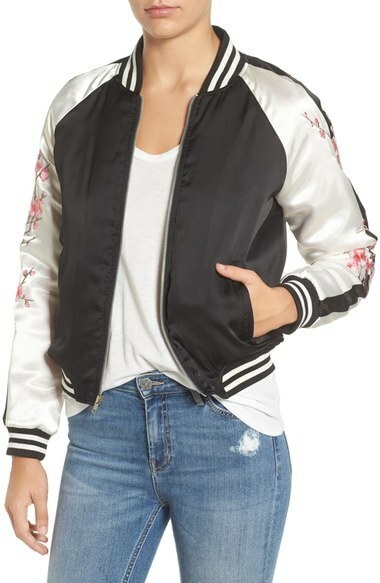 Whether you are dressing for a casual day or for a night out, the bomber is the perfect outerwear for in between occasions and seasons! 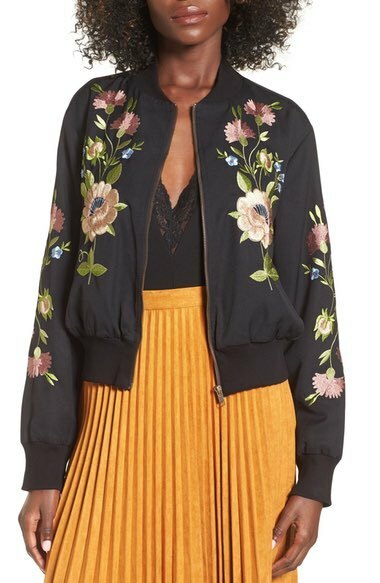 One style we are particularly obsessed with is the embroidered bomber spotted on fashion blogger Mel, from Mel Rod Style. 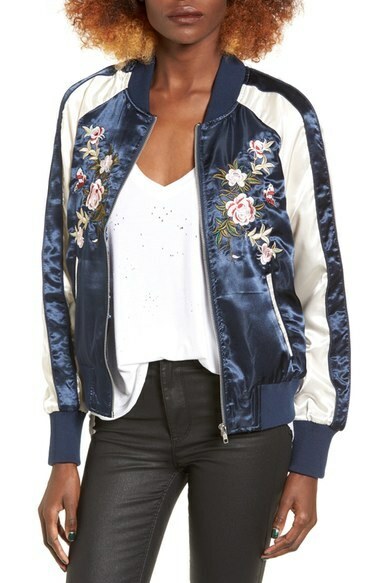 Shop our must-have embroidered bomber jackets and get Mel's look in the photo below!